This individually embroidered U-yeast sleeve is a nice gift for giving birth. 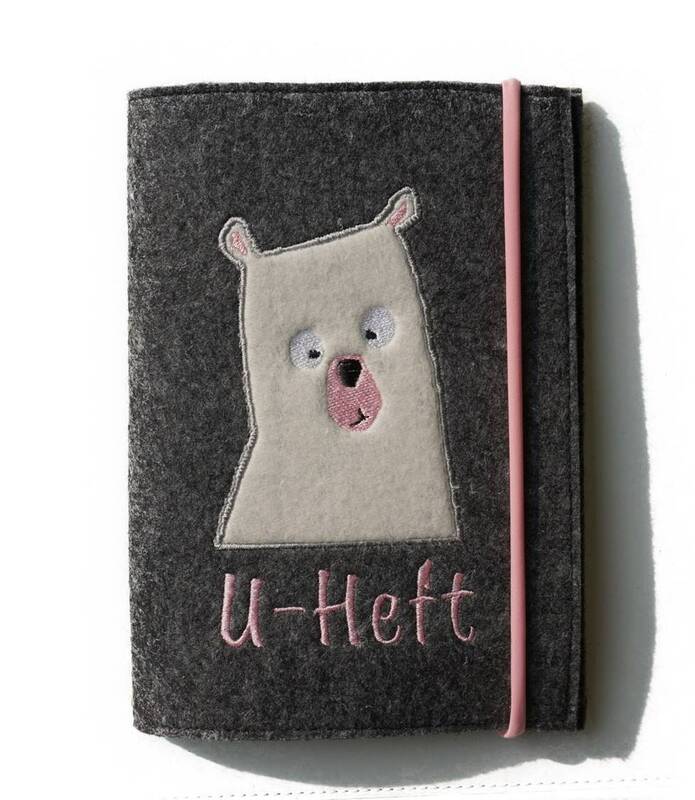 The cheeky polar bear is appliqued and embroidered from fluffy cotton sweat. Embroidered underneath is the word "U-booklet" or the name (and, alternatively, the date of birth) of the child. 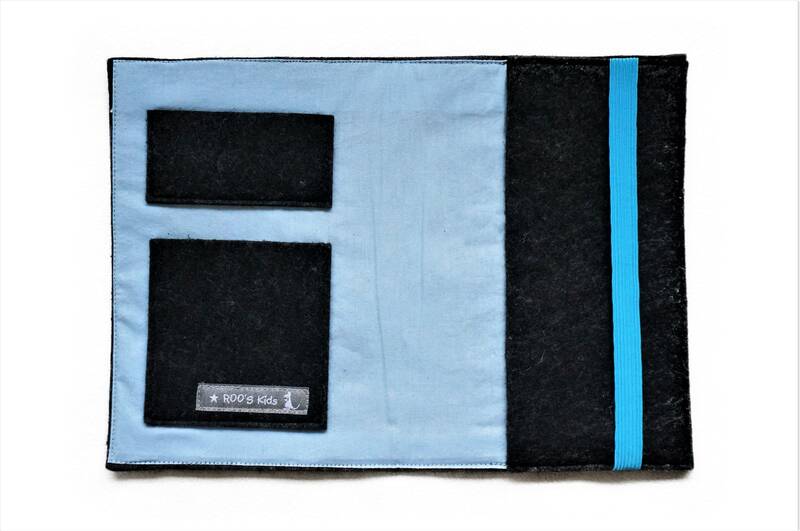 The felt sleeve is 16 cm x 22.5 cm (closed) or 32 cm x 22.5 cm (open). Inside there is a compartment for the vaccination card as well as a compartment for the health insurance card, on the right is a lash for the U-heft. The case is completely lined. Each U-booklet case is custom made to order and provided with the desired name. Please specify the name on purchase. As a rule, a pink outfit (rubber, lining, embroidery thread) is chosen for girls, a blue or grey for boys-or as desired (please also specify on purchase). Currently possible felt colors are: anthracite, light grey and black. 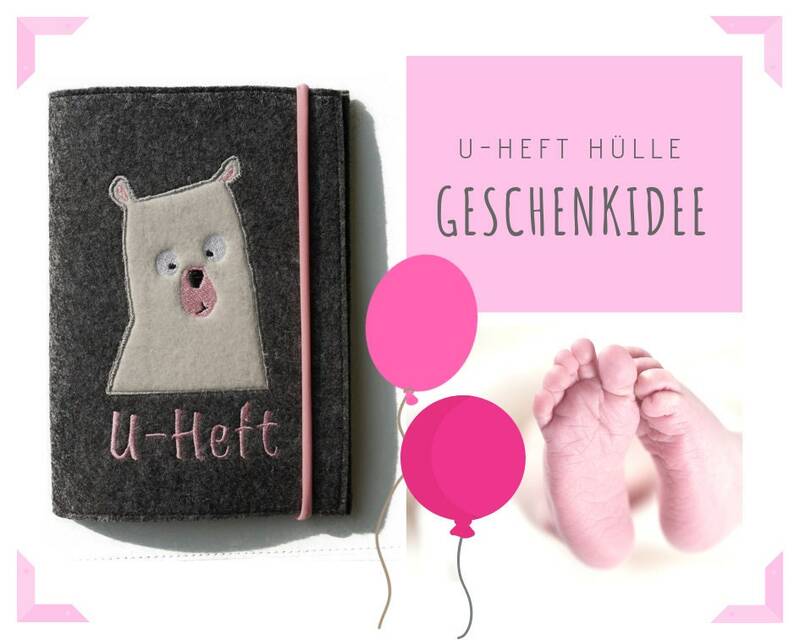 The case can also be used as an envelope for DIN a 5-notebooks and thus a great gift for small first graders! 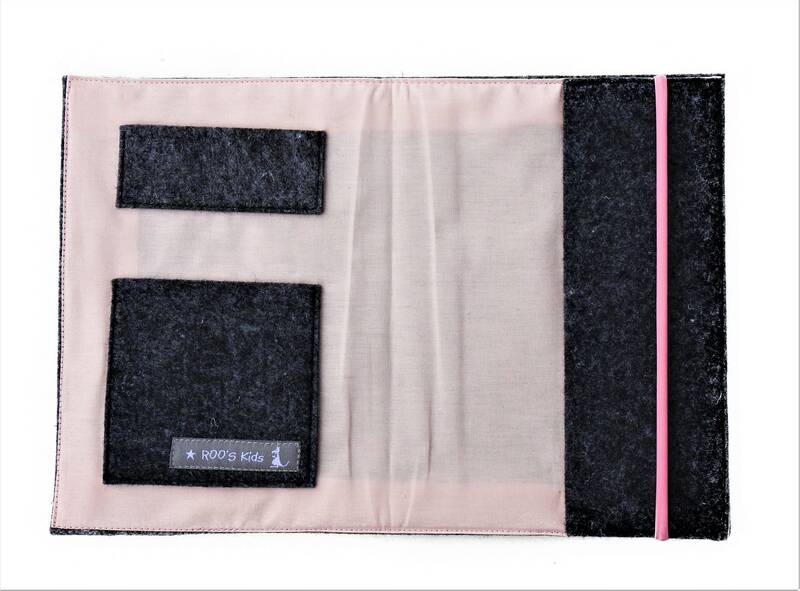 * The felt is washable at 30 °c fine linen. ACTION-BITTE BEACHTEN: The delivery time is 2-3 working days for individual products.